Enormous amounts of money were spent during the communist-era to create an industrial economy. Often little attention was given to whether the investments were viable economically. 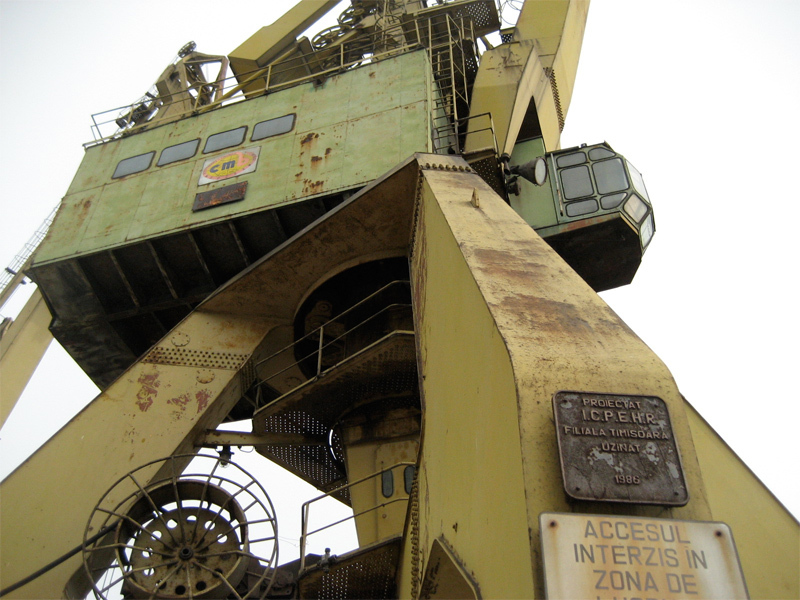 Subsequent to the fall of the Communist-regime at the end of 1989, many of these industrial investments were abandoned and left to turn to rust. The crane above is one of several lying idle along the banks of the Danube River when I visited a few months ago. Nearby are brand new silos.